How Donald Trump’s election fundraising campaign has reacted to the Mueller report. 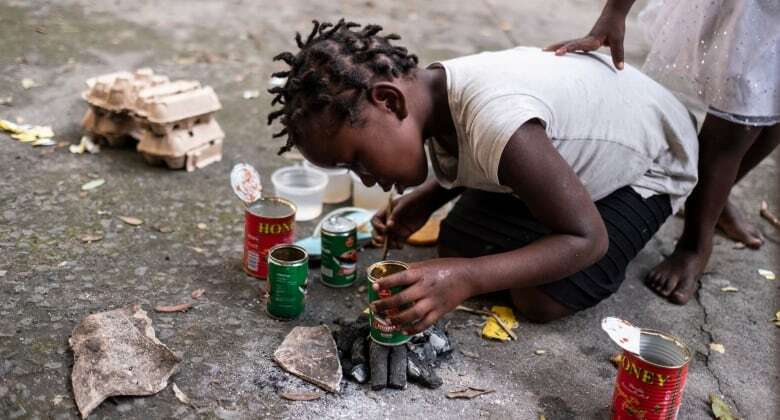 Five questions about Mozambique’s misery. Donald Trump wasted no time. Congress had hardly been informed of the Mueller report’s conclusions last night, when the first fundraising appeal landed in the email inboxes of his supporters. The message, with the all-caps slug “NO COLLUSION OR OBSTRUCTION,” reprised some familiar themes, painting the president as a victim of a dark conspiracy. The pivot from fundraising messages that have lately invoked the need to “finish” the border wall, or protect American from “left-wing mobs” and their creeping Socialism, was part of a larger post-Mueller victory dance. But it also underlines that through all of his struggles, Trump has never lost touch with the wallets of his true believers. 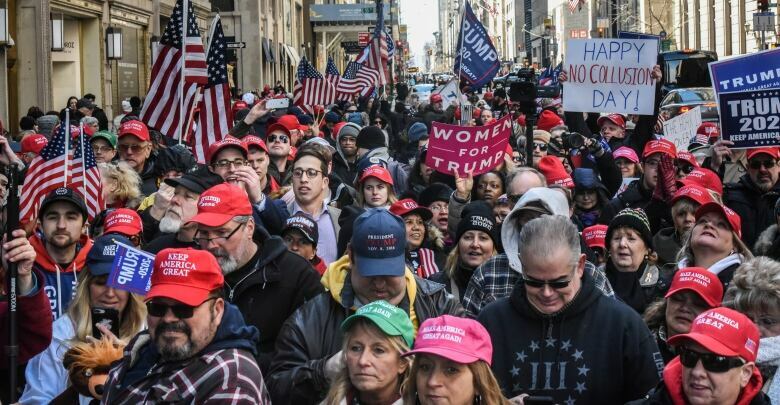 As of the beginning of 2019, the Trump 2020 re-election campaign had already raised close to $130 million US, a record amount for a sitting president, including $21 million over the final three months of 2018. Most of that money — $75 million — has gone to America First, a “super” political action committee that has basically no limits on fundraising or its pro-Trump expenditures, as long as it doesn’t give money directly to the candidate. Yet the president also enjoys an advantage among small-dollar donors. 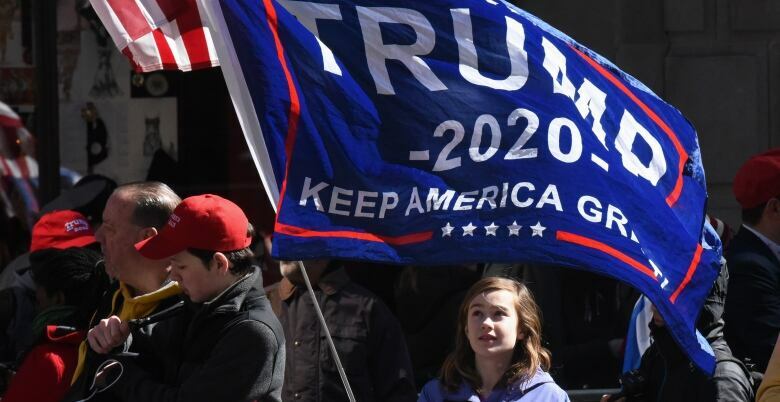 The latest Federal Election Commission filing from his official re-election campaign shows that Trump 2020 took in $6.9 million over the final quarter of 2018, 75 per cent of that from supporters who gave less than $200. Trump has been seeking re-election from virtually the moment he became president, filing his 2020 paperwork on the same day as his January 2017 inauguration. His frequent campaign rallies over his first two years in office were officially about thanking voters or the midterm elections, but his 2020 quest formally began last month in El Paso, Texas, and will continue with a speech in Grand Rapids, Mich., on March 28. It’s not to say that the Democrats who hope to take him on can’t match the enthusiasm — after all, Trump’s approval rating currently sits at 42 per cent — but it will take them a while to catch up on the money front. 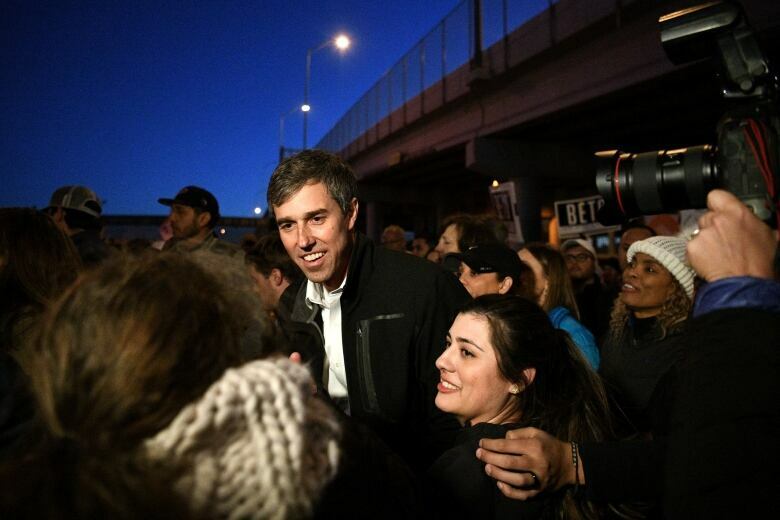 Beto O’Rourke raised an impressive $6.1 million online in the first 24 hours after he announced his candidacy on March 14. That bested Bernie Sanders’ first day haul of $5.9 million, although the septuagenarian senator from Vermont had almost 100,000 more donors. California Sen. Kamala Harris raised $1.5 million in her first day on the 2020 trail. Her Minnesota colleague Amy Klobuchar took in a little over $1 million. The other 12 hopefuls in the crowded Democratic field haven’t disclosed their initial fundraising, presumably because they have nothing to brag about. In 2016, a total of $6.5 billion was spent on the U.S. presidential and congressional elections, three per cent more than in 2012. But Trump’s uncanny ability to put himself at the centre of the story, guaranteeing plentiful, free media coverage, meant that the race for the White House was actually slightly cheaper than in 2008 and 2012, with the two parties spending a combined $2.4 billion. As Democrats now begin their push to reveal what Mueller has actually said in his report — so far, all they and the public have is a summary from Trump’s attorney general — that dynamic will remain in play. And so will Trump’s simple — and lucrative — message track. As of this morning, he had repeated the phrase “no collusion” 235 times in interviews, on Twitter, or during his speeches or press conferences since May 11, 2017. “Witch hunt,” has proven even more popular, repeated 261 times since he took office. 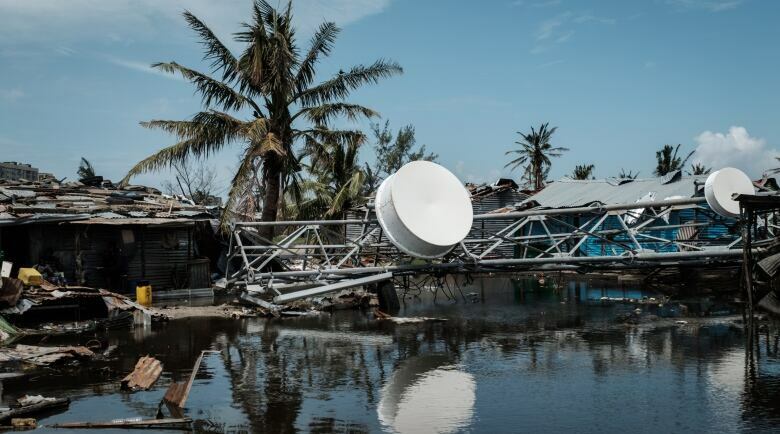 The official death toll from Cyclone Idai in Mozambique has now climbed to 750, but the disaster is far from over. Gerald Bourke, a spokesman for the UN’s World Food Programme, talked to the National Today from the devastated city of Beira. Q: It’s been 11 days since the cyclone hit. Do we know the full scale of the disaster yet? A: No, we don’t know the full scale yet. We’re still at the assessment stage, and that’s been very difficult because roads have been blocked and telecommunications are down. It’s been really hard to get out and measure the extent of the damage. We know it’s huge, and we’ll learn more over the coming days and weeks. Q: What’s been the biggest challenge for the WFP so far? A: It’s access to be able to deliver assistance. We have been delivering in the city of Beira and in the nearby town of Dondo, and now we’re moving further afield thanks to the fact that the roads are beginning to open. But there are all manner of logistical and access challenges. Q: What sort of aid has been delivered so far, and what is still needed? A: In the immediate aftermath, food was dropped to isolated communities. We were also distributing easy-to-prepare meals to displaced families in shelters. But we are now in the process of mobilizing large quantities of food for the coming weeks and months, drawing on South Africa and Angola in particular. Q: I’ve seen reports that this is the biggest disaster in Mozambique’s history, and perhaps even in African history. Can you put it in perspective? A: I’ve been told that it’s the biggest climate-related disaster ever in the Southern hemisphere. We’re talking about a huge calamity, even though its dimensions are not yet fully clear. It’s a crisis and emergency that is going to run and run, and will require a major amount of international support. Q: The recovery efforts are obviously going to take months, if not years. What are the top-of-mind concerns going forward? A: The needs are huge. For food. For shelter — so many people displaced. 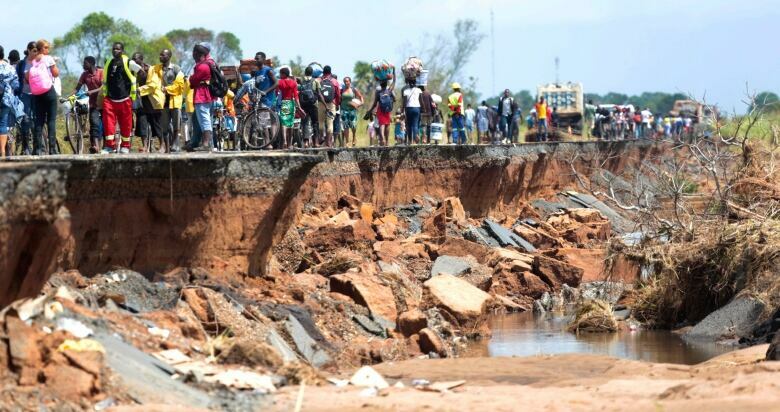 The need for logistical support to rebuild roads and bridges. The need for medical help, medicines are sorely needed. And people are traumatized — psycho-social help is a major need as well. Basically, this is a manifestation of all the damage that climate change can inflict. And scientists tell us that these type of disasters will become more frequent. It’s a precursor to what the coming years could be. – Former Guantanamo Bay prisoner Omar Khadr, speaking to reporters Monday after an Alberta judge ruled that he has completed his sentence for killing an American soldier in Afghanistan. Court of Queen’s Bench Chief Justice Mary Moreau counted the time Khadr spent on conditional release, nearly four years, toward his eight-year sentence. Khadr’s lawyer said efforts to overturn his U.S. convictions will continue.